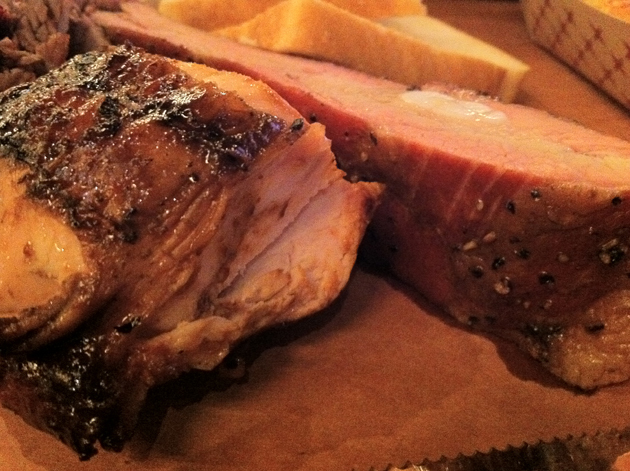 Hill Country review 2 – New York BBQ still as good as ever? This review of a New York restaurant is a break from The Picky Glutton’s usual London-based coverage. Barbecue specialist Hill Country was one of the culinary highlights of my previous visit to New York, setting the standard by which I judge all other barbecue restaurants. I was therefore excited by the opportunity to visit the Big Apple again, if only try to sample the chargrilled delights of Hill Country once more. Sadly, I was to be brutally disappointed. I visited on a Monday evening so I once again took advantage of the all-you-can-eat barbecue brisket, chicken and ribs Monday deal. This generous bargain even includes a choice of two sides at a time, but not your drinks. Sadly, the barbecued chicken was dry and flavourless, apart from an occasional hit of smoky sweetness around the joints. Compared to the version from my last visit which was a juicy chunk of poultry with the gentle taste of honey and molasses, this was most disappointing. The pork ribs were improved upon my last visit though. 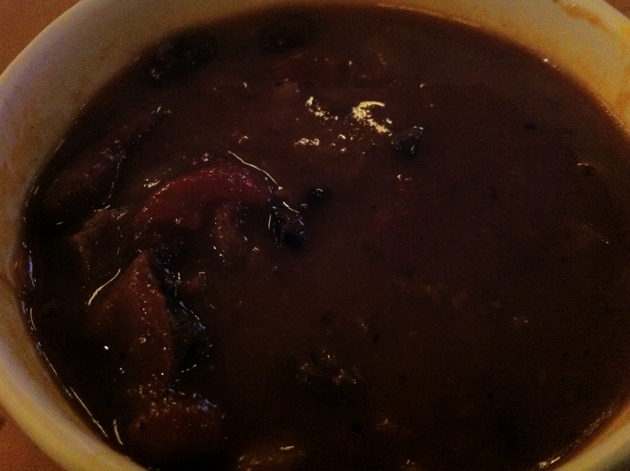 The slightly chewy peppery surface eventually gave way to smoky, slight sweet layers of meat and fat. The ribs turned out to be the meat highlight of the evening. 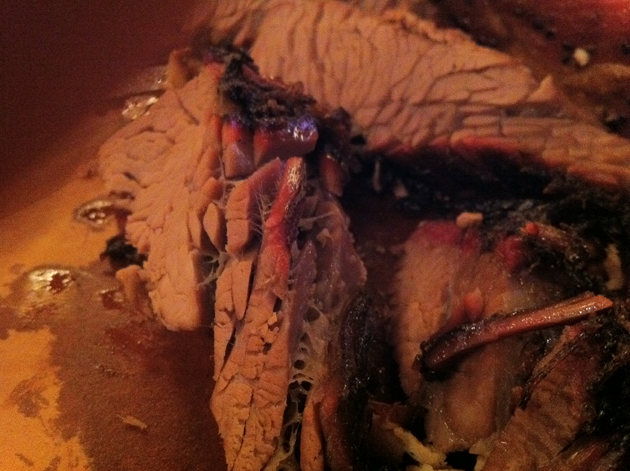 Unfortunately, I was bitterly disappointed by the beef brisket. The astonishingly delicious, multilayered taste that I had experienced last time had been replaced by a dry, flavourless husk this time around. It proved hard to swallow, quite literally. A second batch of beef brisket was a modest improvement, but that serving relied upon occasional layers of fat tinted with a subtle smokiness for flavour. What happened to that previously delicious mix of saltiness, pepperiness, smokiness and marbled layers of fatty, juicy beef? The strikingly different variations in execution are very troubling. Oddly, while I was underwhelmed by my side dishes during my first visit, they were much improved this time around. 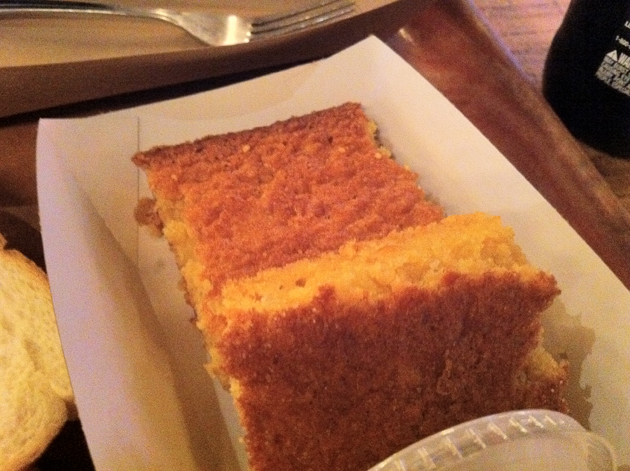 The sweet and gently buttery cornbread was coarse with large, flaky crumbs making it one of the best cornbreads I’ve had so far. How cornbread should be done. 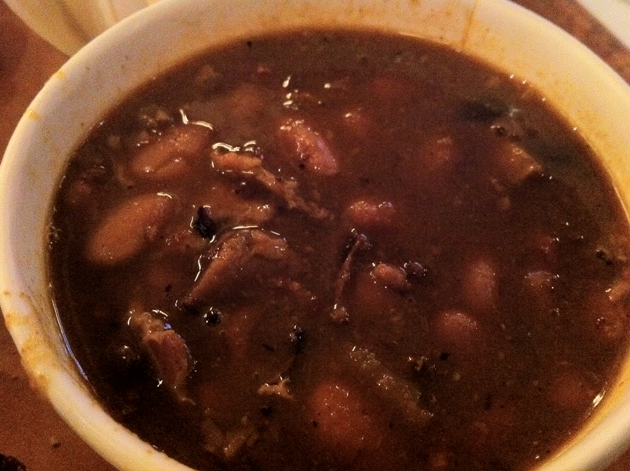 The pinto beans braised in beer and the Texas barbecue baked beans may be indistinguishable to the hurried diner, but they tasted quite distinct to me. The pinto beans (top) were tangy and sweet with a molasses-like flavour, whereas the pork-flecked baked beans (bottom) had a much more fruity taste to them. Although the meat had generally taken a turn for the worse, the service was as friendly and helpful as ever. The dark and moodily lit dining room from my first trip was now much more brightly lit. Although this made taking photos much easier this time around, it also robbed Hill Country of much of its faux-rustic ambience. To say that I was bitterly disappointed by my return visit to Hill Country is a mild understatement. To see the standard to which I hold all other barbecue restaurants fall so far was truly heartbreaking. Perhaps I would’ve had better luck ordering a la carte rather than dining on the Monday all-you-can-eat menu, but the wildly varying versions of the once-superb beef brisket is depressing no matter how you look at it. Although the side dishes are much improved and it’s still a cheap way to stuff your face with meat until you burst, I can no longer recommend Hill Country with the unbridled enthusiasm I once shouted from the rooftops. How very, very sad. Tags: barbecue, bbq, beans, brisket, chicken, corn bread, hill country, manhattan, new york, restaurant, review, ribs. Bookmark the permalink.